Well, Microsoft did mention at one point that they would like to see consoles come out like smartphones, with new versions every few years. Does that mean this rumor holds water? Read on to find out. A Wild Rumor has Been Spotted! Now that the Xbox One X is out and Microsoft has joined the iterative console movement, people are already looking ahead to the next big thing. This is the time when websites and more commonly, YouTube channels, start posting news about new consoles and potential release dates. YouTube is a notorious source of fake news (no, not the Trump kind, actual fake news), where people make predictions, but spin them off as truth. Given the current state of YouTube, it's unlikely that fixing this is very high on their priority list. 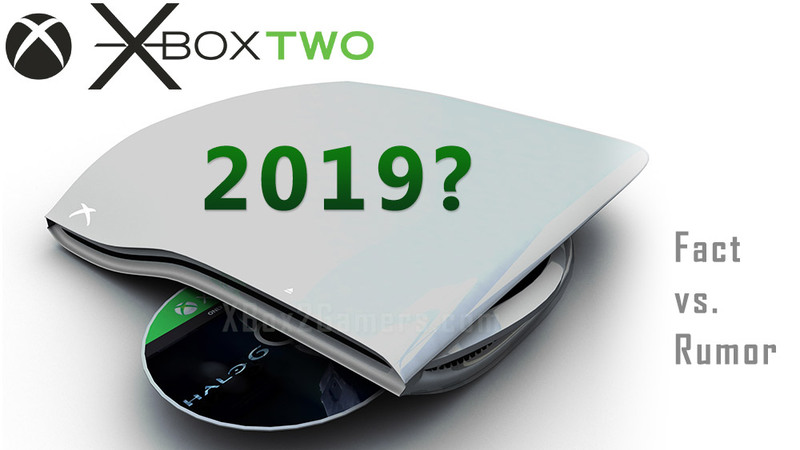 This rumor about the Xbox 2 in 2019 has gained enough traction to spawn a Forbes article advising gamers not to trust it. They're right, but how did such a rumor get this far in the first place? After all, the Xbox One X is very young and the PS4 and Pro are doing just fine. There's no inherent need for more consoles. The most likely culprit is something Microsoft said some time ago that has been taken out of context for the sake of this rumor. There was a time, before the Xbox One X, that Microsoft seemed to indicate that would like to see consoles come out more consistently. He was referring to an iterative console that we had yet to learn about. His comments were mostly focused on the concept of consoles that continue to iterate and grow in power, but still let you keep your library of games across consoles. "We look at these other ecosystems out there like mobile, tablet, and PC, and we see that they have a very continuous cycle in hardware. Between console generations most of the evolution is making it cheaper and potentially making it smaller...If you look at PC specifically and see the evolution that happens there, there's no reason why console can't ride that same curve." "I don't have a desire to every two years have a new console on the shelf; that's not part of the console business model, and it doesn't actually help us." That right there should shut down this rumor that we'll see Xbox 2 in 2019. The Xbox One X will only be two years old by the holiday of 2019, so it would be far too soon for them to release something new. During that same interview, Phil Spencer went on to say that he wants the next console to hit specs that actually means something. So, with this rumor squashed, let's take a moment to think about fake rumors like these. How do we know what's real and what isn't? I'm so very glad you asked. Has a major publication reported on it? Are there any primary sources? Given all other evidence, is this rumor likely to be true? It's a culmination of research and speculation. Any rumor that doesn't have some kind of source behind it is just pure speculation. While there is certainly a time and place for that, it shouldn't be passed off as news. Instead, rumors should come from a source. It can be an anonymous tip from a source in the industry, a quote from a major executive, or a small announcement that gets people talking, but it needs to start from somewhere with a strong foundation. That's why it's always smart to check reputable gaming sites (like this one), and see if we're reporting on it. I always check major gaming websites as well to substantiate rumors. Hopefully that helps you better approach rumors on the internet. In the meantime, let us know when you think the Xbox 2 will arrive in the comments!